The Diaries of a Glam Mama: Are these parenting habits really annoying? Are these parenting habits really annoying? 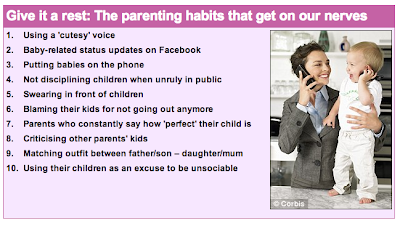 A good friend just sent me this article by the Daily Mail UK about annoying parenting habits. While slightly insulted (ehhem), this did make me chuckle.The findings are for the UK, but aren’t we all guilty of these to some degree? Honestly, most of the points made here are pretty harmless. I mean, if you don't like baby-related status updates, don't follow that person's updates. 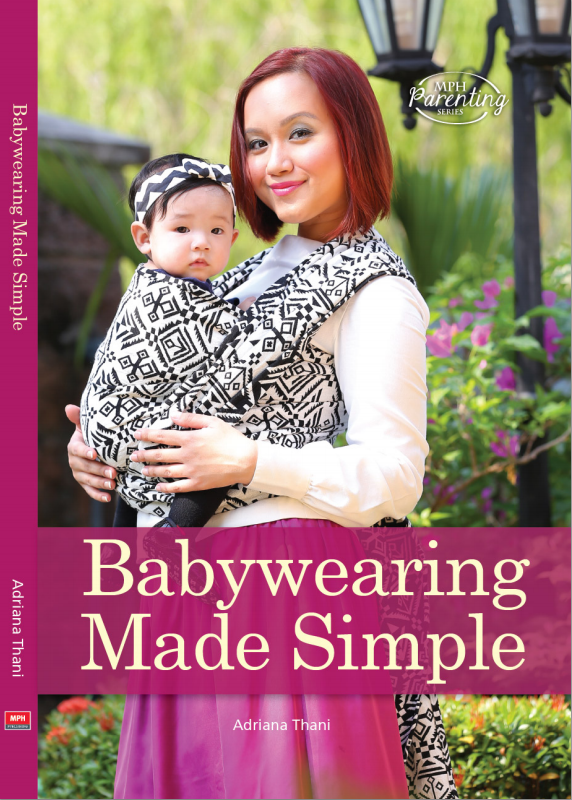 And what harm does it do for parents to co-ordinate their outfits with their kids? (Totally guilty of this, btw). As for using cutesy voices - I dunno...isn't it human nature to do that? I could have sworn that I read somewhere about it being a biological thing for our voices become high-pitched when addressing babies. Better look that up. There are some there that are more than annoying, though - swearing in front of children, and criticizing other parents' kids are downright antisocial. Can't stand that! And I've already mentioned before how much I hate mom-petitors who are guilty of #7. Now, #6 and #10 are the same thing, so I guess it's so annoying for others that there's a need to mention in twice. Frankly, these two I am very much guilty of...and I am not ashamed! I use my kids as an excuse all the time. Sometimes I just don’t want to go out or I don’t particularly like the people that’ll be there. It’d be rude to say that, so I just say my kids aren’t feeling well or have some activity lined up. It works a charm – no one questions it! (Although I now know they probably found it annoying). So what do you think? Are these that annoying? Is there a particular point (or two...or three) you're guilty of? 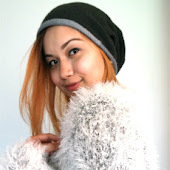 ntah.. rasanya macam ok je.. hehe.. Kan?? Oh-verr la org2 yg annoyed ni. Takyah buat kawan ler.